The Dunlop Club 3 racket bag has been made for avid club players who want to carry their gear in comfort and style and provides ample room to hold up to 3 rackets, as well as extra grips, towels, strings and all the necessities. For valuables and smaller personal belongings, there is a practical side zipped pocket, whereas a carry handle and an adjustable padded shoulder strap ensure easy transport. This lightweight and durable bag offers a capacity of 25.5L in total. 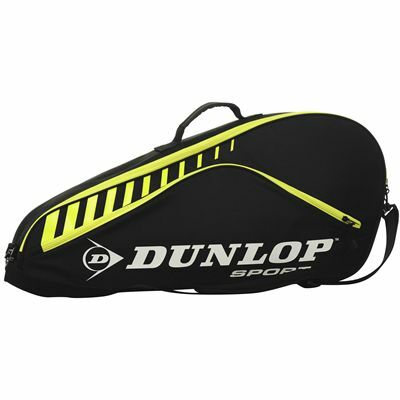 for submitting product review about Dunlop Club 3 Racket Bag.